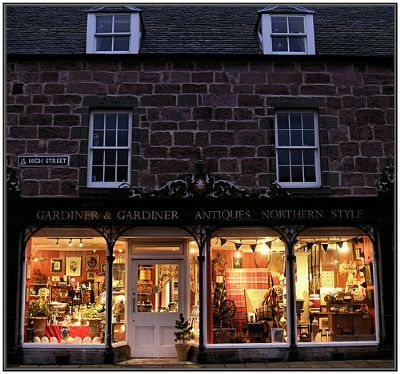 In Cromarty, you can browse for antiques, gifts and souvenirs in the town’s specialty shops, or stop to fill your picnic basket at the award-winning bakery or general store. A stroll to the end of Bank Street rewards you with a view of the Cromarty Firth, which you can enjoy over eats and drinks from one of the restaurants overlooking the harbour. As well as its shops and eco-tours, Cromarty is home to a range of businesses that are based on its maritime and cultural heritage — and has more than its share of artists: potters, painters and photographers who exhibit in local restaurants and shops. High speed internet connections have also made it possible for media-based businesses such as web design and film production to flourish in Cromarty. Befitting its long self-sufficient tradition, Cromarty has essential tradesmen — builders, jointers, decorators, plumbers as well as services such as a childcare centre, primary school, medical practice, post office and library. Use the 'Businesses' flyout menu to browse Cromarty businesses by business type.